When packing your bag for school, make sure you have your lunch, books, and favorite Twitter client. The social network is making great strides as an academic tool, as more and more educators realize the benefit of fast, transparent messages that are updated in real time. 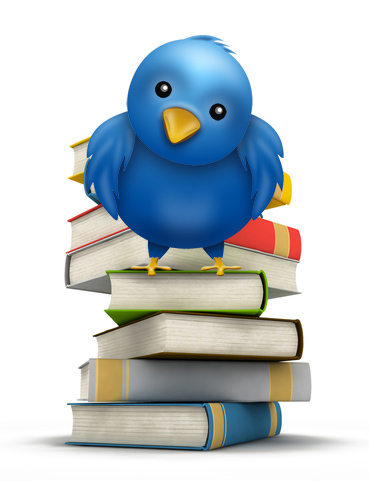 Twitter allows teachers to announce changes in class schedules, homework, or study tips in a safe and friendly environment (EDUCAUSE). In addition to improving student-teacher communication, teachers have found potential for increased student engagement by assigning twitter based homework. Common twitter based assignments include tracking a conference or seminar, researching a professional, learning to write concisely (140 characters or less), and grammar lessons by correcting other people’s twitter posts (AcademHack). To see how the university of Dallas is using Twitter in their Emerging Media Course click here. Student-teacher communication has become increasingly difficult in the light of a variety of scandals, and their corresponding online media coverage. In 2004 the American media was enveloped by the Debra LaFave case, where a 23 year told female teacher had a sexual relationship with her 14 year-old student (MSNBC). The threat of inappropriate student-teacher relationships have resulted in teachers becoming more guarded and reluctant to meet with students on a one-on-one basis. Twitter presents a viable means to re-establish a transparent form of communication between students and teachers, as both parties identities are disclosed, and the conversation that takes place is public and captured. disabilities have lead to an increased importance in student engagement. If a student doesn’t arrive to class, or has a genuine difficulty retaining information, what options are teachers left with? One solution is to adopt a push communication strategy. Traditional course structures have a pull communication system where the onus is to pull the student into the classroom, where they then benefit from the information being disseminated. With Twitter a student could subscribe to the class feed and receive information directly to their mobile device or online Twitter account. The information is automatically pushed to them, and while it by no means replaces the invaluable class experience, it may assist students who actually have difficult real-world problems. At the end of 2009, 73% of American teens between the ages of 12 and 17 were using social networking sites (Cyberbullying Research Center). Why not go to where your students are? If you are ready to make the jump the next logical question is why use Twitter? Twitter is designed for one individual to speak to many, it does not focus on the personal one-on-one conversations that Facebook is commonly used for. Twitter’s primary purpose is to share information, while Facebook is to connect with friends, and FourSquare is to meet in real life. Both Facebook and FourSqaure present a conflict of interest when applied to student-teacher communication. Twitter posts are designed to occur in real-time, students receive the information as it is posted and teachers can address student issues as they occur. The aforementioned factors when coupled with the public transparency of a Twitter feed, appear to make Twitter the obvious choice for a teacher looking to educate their students via social networking. AcademHack. (January 23, 2008) Twitter for Academia. Dunlap, J. and Lowenthal P. (2009) Horton Hears a Tweet. Hinduja, S. and Patchin, J. (2009) The Changing Nature in Online Social Networking. Lauer Matt. (September 13, 2006) Debra Lafave: Crossing The Line. University of Dallas. (2007) Twitter Away Your Weekend.